"VMWare’s vRealise Orchestrator has solid features and ease of use, but we found it hard to deploy." vRealise is extremely capable and flexible. It can complete daunting tasks that’d take a long time with a lot of other solutions at a blazing speed. It’s scalable, and locally ran, right on one of your machines, making it very versatile, and fully self-managed inside your system. The hardware requirements it asks for aren’t too high. The software also has great support for a broad spectrum of plugins, making it even more specialized for certain tasks. vRealise is hard to deploy on very large scale systems. It’s not its fault tho, but rather, some people find it rather complicated to get used to at first. I’m talking the part of the team that aren’t strictly related to IT, and still need some level of automation. It is also rather hard to come by, being only a part of VMWare’s other suites. If you’re looking for a stand-alone solution, you might want to skip the Orchestrator, but if you’re already using VMWare’s enterprise solutions, the vRealize Orchestrator will fit right in your IT architecture. As mentioned above, vRealise Orchestrator helps with a lot of tasks that need automation, cutting down the need for people who constantly operate such tasks. It offers solutions to operate multiple clouds, which we implement on our website. It really is a great tool that solves some important IT tasks easily! The automation of several redundant task and the scalable workflows that enable you to be able to automate changes normally made manually. Initial setup was pretty stratight forward but it was a little more complex to get configured properly when doing our demo. 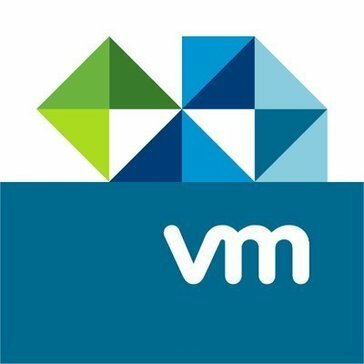 Looking to be able to monitor our VMware infrastructure more closes and be able to better utilize the small number of resources we have across all our vm's. * We monitor all vRealize Orchestrator reviews to prevent fraudulent reviews and keep review quality high. We do not post reviews by company employees or direct competitors. Validated reviews require the user to submit a screenshot of the product containing their user ID, in order to verify a user is an actual user of the product. Hi there! Are you looking to implement a solution like vRealize Orchestrator?